Kihnu is Estonia's only island whose traditional way of life appears on the UNESCO list of intangible world heritage. What makes the island special is the unique community-centred lifestyle, a wide range of customs and the indigenous Kihnu language, all of which have stood the test of time. The islanders' lives are intertwined with the sea, which gives them a livelihood, culture and ensures a connection with the mainland. But the shallow sea and abundance of rocky shoals prevented the island from having a proper port for many years. Kihnu, at 16.38 km2 the largest island in the Gulf of Riga, was first mentioned in 1386 (it was referred to as Kyne). The island has given rise to many well-known seafarers, seal hunters and shipbuilders. The island's main lifeblood was once granite extracted from the seabed and hauled to port towns to be sold. Fishing was naturally also a source of income. Before World War I, Kihnu ship owners had 66 sailing ships, according to some sources. A port was finally constructed for the first time in the 1930s. 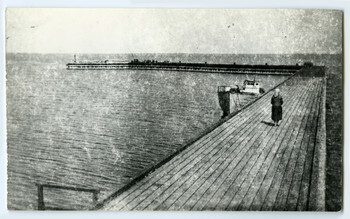 Before that time, a few individual boat docks existed, but usually, boats were pulled on to shore into a lauter, a traditional Estonian type of boat landing/storage location. Sailing ships were pulled by winches to land or kept at anchor near the island. Smaller craft were used to offload passengers and goods. After World War II, during the Soviet occupation, fishing kolkhozes started using larger fishing ships and for that reason dredging was performed at Kihnu Port and piers were lengthened. 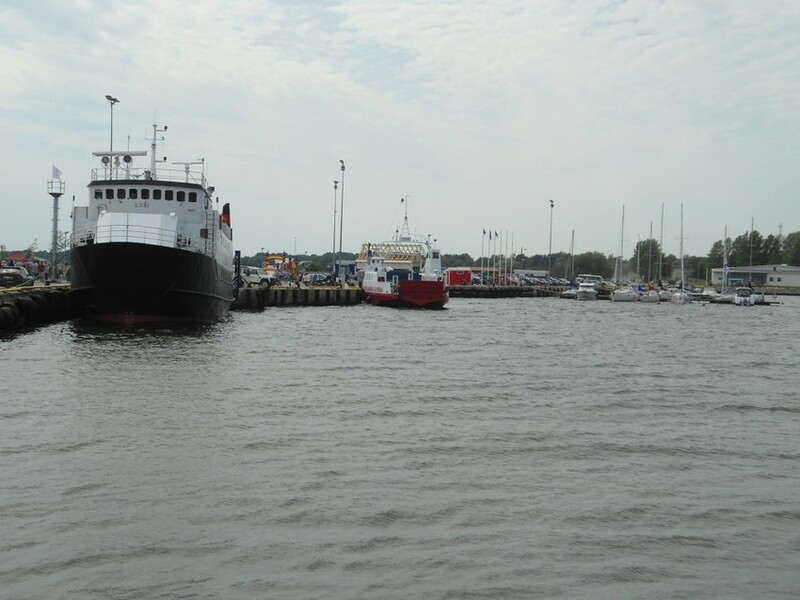 The ferryboat traffic between Kihnu and the city of Pärnu began in 1987. Today, Kihnu port has three parts, each with a separate owner. AS Saarte Liinid operates the state-owned part, the municipally owned part bears the name of Suaru Port and the smaller more inland part belongs to local fishermen. 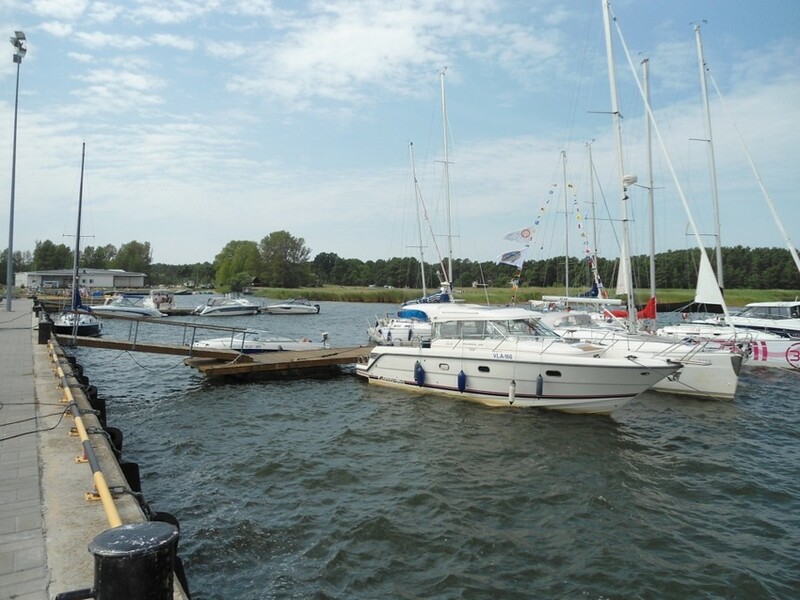 The port has seen constant development, and now has modern amenities for ferry connections and floating piers for yachts. The Liisi and the Jõnn – ferryboats in Kihnu Port, 2014. 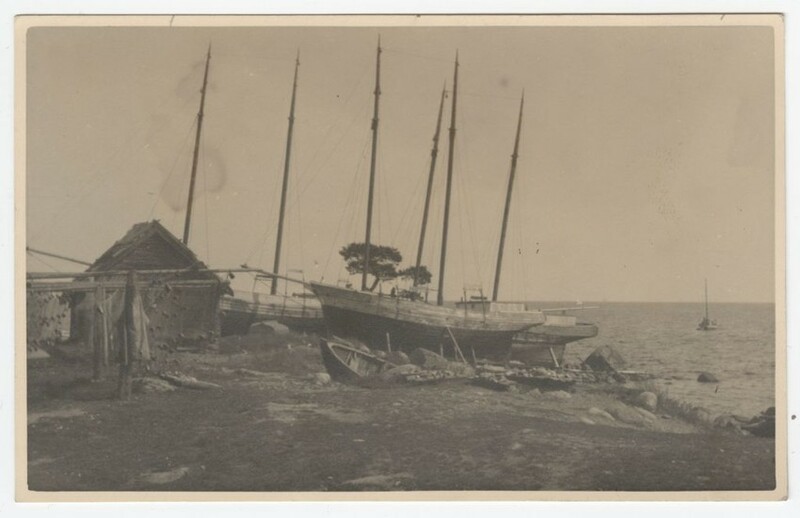 Sailing ships pulled ashore in Kihnu, early 20th century. 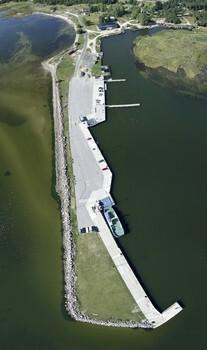 Aerial photograph of Kihnu Port, 2012. 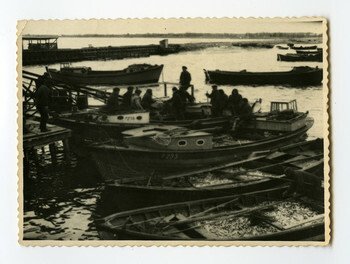 Fishing boats in Kihnu Port, 1950s. Kihnu Port after completion in 1938.